With more than 20 years of professional and personal experience in the real estate industry, Cathy has successfully represented high net worth buyers and sellers on new construction and luxury single family homes while closing hundreds of real estate transactions. Cathy's unparalleled residential real estate sales experience is broad and includes luxury single family homes, townhomes, condos, loft rehab condos, and multi-unit dwellings in Chicago and surrounding suburbs. Her extensive experience also includes property management and residential leasing. Adapting to the the changing market, Cathy also became a SFR, Short Sale, Foreclosure and Resouce Specialist. 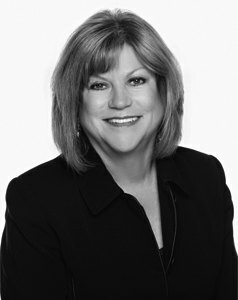 As a Certified New Home Sales Professional, Cathy has successfully managed all aspects of exclusive sales and marketing for various developer related projects. She has been awarded numerous National Home Builders Sales Awards and has consistently been a top producer on many new home construction developments. Prior to her real estate career, Cathy held management positions in Human Resources while working in the healthcare industry. This experience enhanced her excellent analytical, communication, and people skills. Cathy's diverse professional and personal experience allows her to keenly relate to todays discerning buyers and sellers. Her passion and genuine interest in helping people meet their needs in finding their dream home is exemplified by the excellent customer service and knowledge of the real estate market place that she offers her clients. "Cathy goes an extra mile to help her clients. She is very approachable, practical, and punctual, which makes life a whole lot easier."